You may have noticed the WordPress update in your WordPress admin for version 2.9.2. This is a security release but isn’t one to worry about unless you have multiple authors on your blog and particularly if anyone is allowed to register as an author. 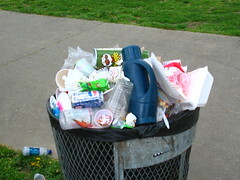 And it can be an issue if you leave “sensitive” posts in the trash, which is a new feature of the WordPress 2.9 series. Basically any logged in user can view posts left in the trash. Even posts that they didn’t write.